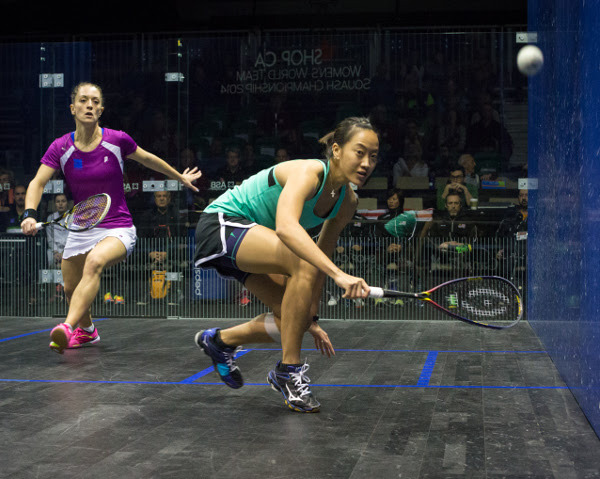 Hong Kong China defeated USA 2/1 in the quarter-finals of the SHOP.CA WSF Women’s World Team Squash Championship in Canada to earn themselves a place in the top four of the biennial World Squash Federation championship for the first time in history. 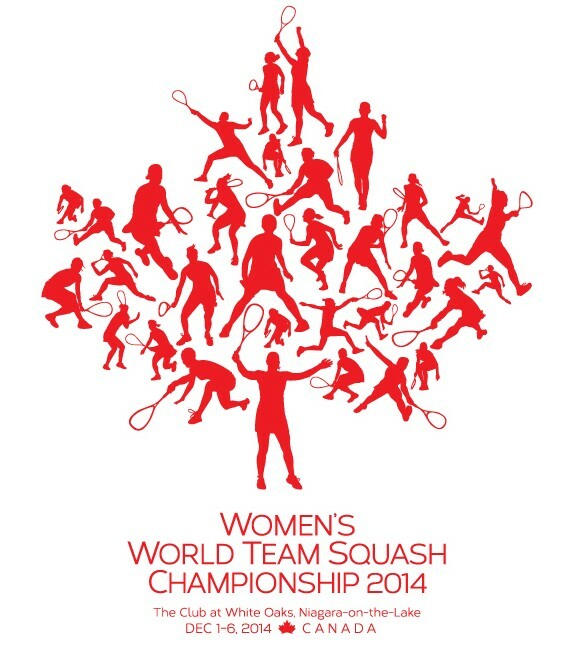 It was after a dramatic Pool triumph over fifth seeds France less than 24 hours earlier that Hong Kong – the fourth seeds whose previous best finish was eighth two years ago – lined up against sixth seeds USA on the all-glass showcourt atWhite Oaks Conference Resort & Spa in Niagara-on-the-Lake, Ontario. 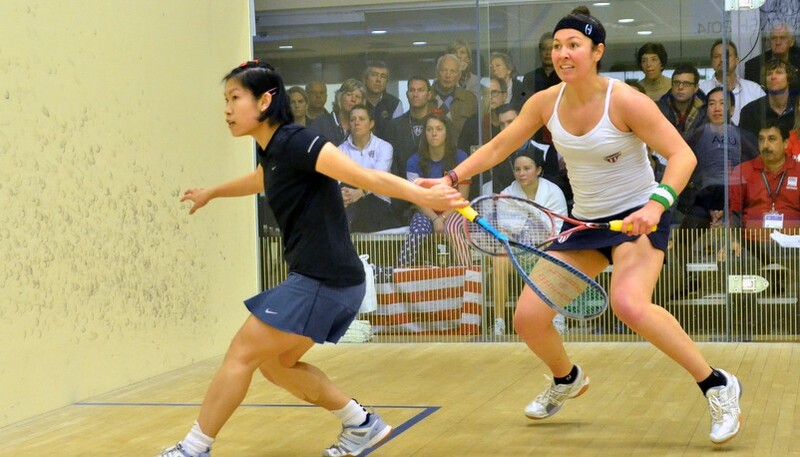 Joey Chan opened up a healthy lead for the fourth seeds after beating New York’s Olivia Blatchford 11-6, 11-2, 11-7. The next match between the teams’ top strings promised to be close-fought – but, after clinching the opening game on a tie-break, it was Hong Kong’s Annie Au who prevailed in the all-left-hander battle with Amanda Sobhy to win 14-12, 11-6, 11-2 and secure the country’s women’s world team championship breakthrough. “We’ve made history – we’ve never finished in the top four before,” said team manager Rebecca Chiu, the former world No.13. “Our seeding helped – but most of all the players have played really well, some better than we expected. “Annie played very well today – we didn’t expect her to beat Amanda 3/0. 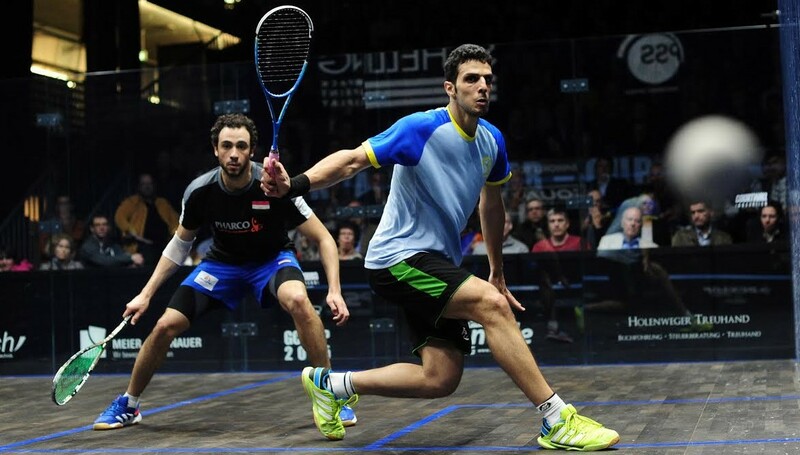 I’m so happy that we had a 2/0 win today – it will be great for Hong Kong squash. A beaming Au, the world No.9, added: “I am really proud of our team – especially yesterday after I lost the first match and my team-mates pushed hard to give us the win. Hong Kong will face former champions England for a place in the final. The second seeds, bidding for a record 11th successive appearance in the final, claimed the last semi-final place slot after beating Ireland, the No.8 seeds, 3/0. Underdogs Ireland made a great start when squad number two Aisling Blake took the opening game and built up a 6-0 lead in the second. But experienced campaigner Alison Waters, the world No.5 from London who went into the match boasting an 8-1 career head-to-head lead over her opponent, soon drew level to six-all before moving on to take the game – then clinched the next two to win 8-11, 11-8, 11-5, 11-4. World No.2 Laura Massaro, the reigning world champion, maintained the English drive to overcome career-long rivalMadeline Perry 11-3, 11-6, 11-8 to steer England into the semi-finals. “It was a good performance by the team today,” said team coach David Campion. “I was very impressed with the way Alison handled things at 6-0 down in the second game – she switched the lines and varied the pace, moving Aisling into all four corners. Coming back that way will definitely boost her confidence for tomorrow. “Laura played well too. 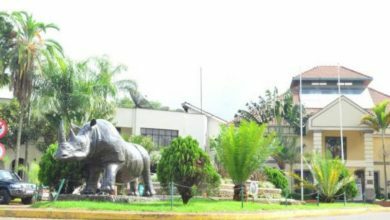 We expected her to come back from what some people might have thought of as a setback – which it wasn’t – earlier in the week. She shows she’s back at her best – and getting off in three was a bonus. Massaro (pictured above, right, with Perry) added: “I was pretty happy with the way I played the first two games, especially after the way I played at the start of the event – losing against Tesni (Evans). And even if there are reasons and elements beforehand that can explain why I was not at the top of my form that day, you just have to put your head down and keep working hard. Bronze medallists in the past four championships, Malaysia showed their determination to make the final for the first time by overcoming France 2/0 in the day’s first quarter-final. Low Wee Wern opened the Asian champions’ account in impressive style, beating French number two Coline Aumard11-4, 11-8, 11-9. World number one Nicol David, undefeated in the event for over ten years, extended her winning run by beating French tour rival Camille Serme 11-6, 11-9, 13-11 to take Malaysia into the semis for the fifth time in a row. 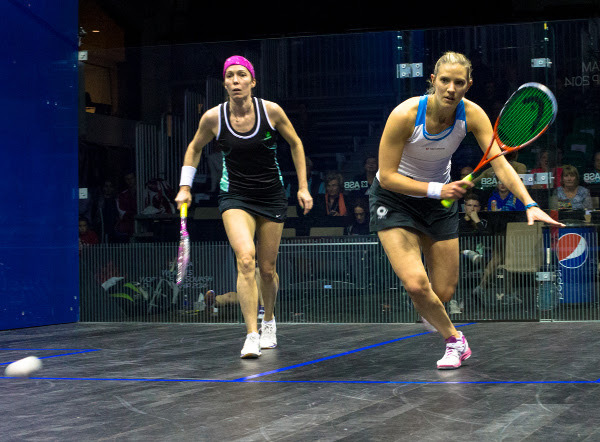 “Coline came back really strongly in the second,” said Wee Wern, the world No.7 (pictured above, right, with Aumard). “I didn’t do much wrong, but she made a few errors. I knew I needed to hang in there. “We’ve finished in the top four for a few years now – and we’ll probably have a tough match tomorrow against Egypt. They’ve got four players in the world top ten, but as it’s a team event it’s a whole lot different from when we meet on the tour. 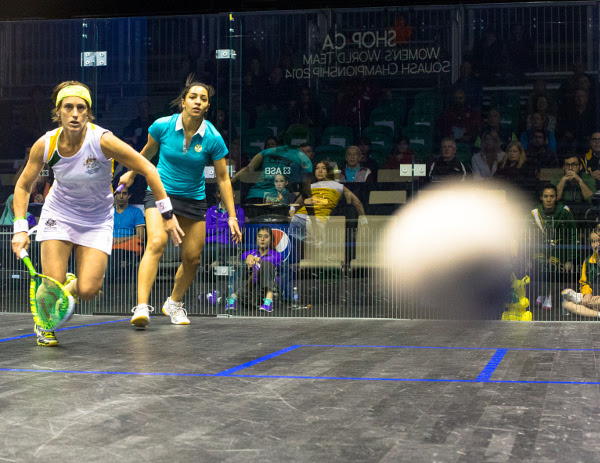 Firm favourites Egypt brushed aside former champions Australia 3/0 – Nour El Sherbini defeating Lisa Camilleri 11-7, 11-2, 11-5 in just 19 minutes before the team’s world No.3 Raneem El Welily survived two tie-break games againstRachael Grinham (both pictured above) before beating the Aussie veteran 12-10, 13-11, 4-11, 11-3. “We were solid – the team hasn’t dropped a single match so far,” said team coach Omar Elborolossy. When asked if the expectations of a team featuring four players ranked within the world top ten provided extra pressures, the former world No.14 said: “I have told my players to forget about expectations. My expectations are in the efforts, not the results. Their best efforts will be enough to win matches. They owe it to their country to make the effort – you can forget about the rankings.